County Ring Changes For The Evening, As Bell Makes Decisive Strike! 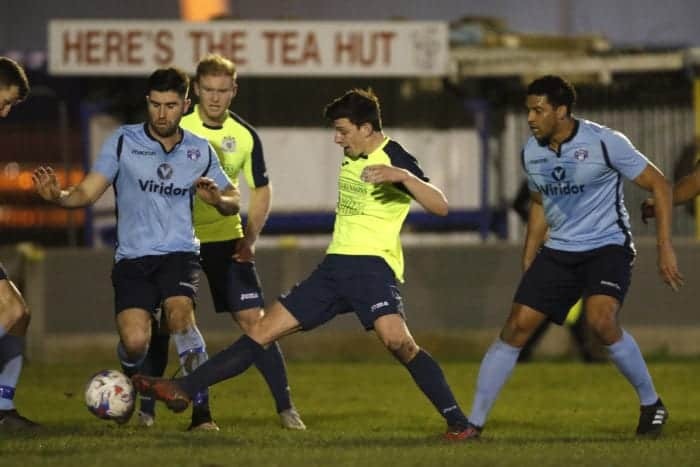 The Hatters advanced into the last four of the Cheshire Senior Cup, courtesy of a single-goal victory at Runcorn Town, to keep their interest in three competitions during the current campaign. 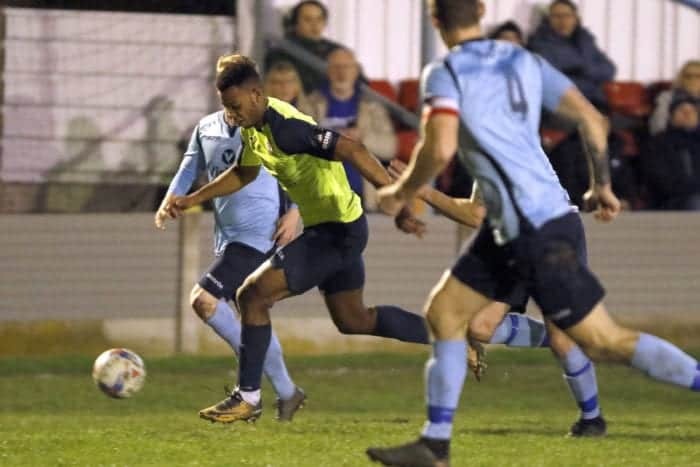 Nyal Bell’s first goal since Christmas ultimately proved the difference, following a closely-fought contest with the North-West Counties League Premier Division hosts – whom County had last met, and knocked out, at the same stage of the CSC four years earlier. 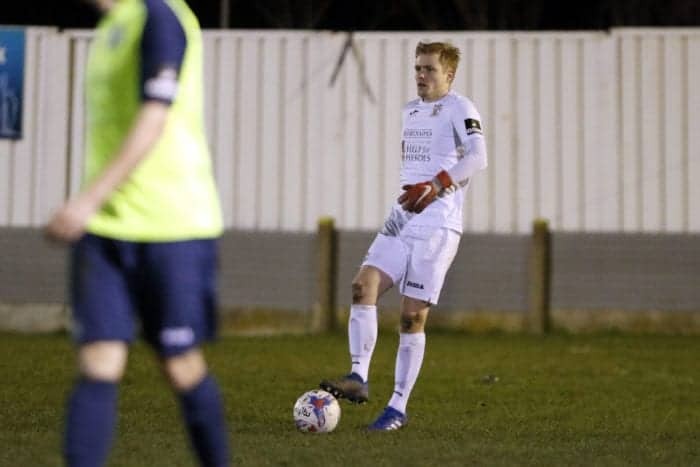 As had been the case for the initial two rounds, several first-team regulars were rested for the tie – although the usual mix of senior-squad players and Academy members or graduates on this occasion included Jake Kirby and club captain Paul Turnbull, who had not featured previously. 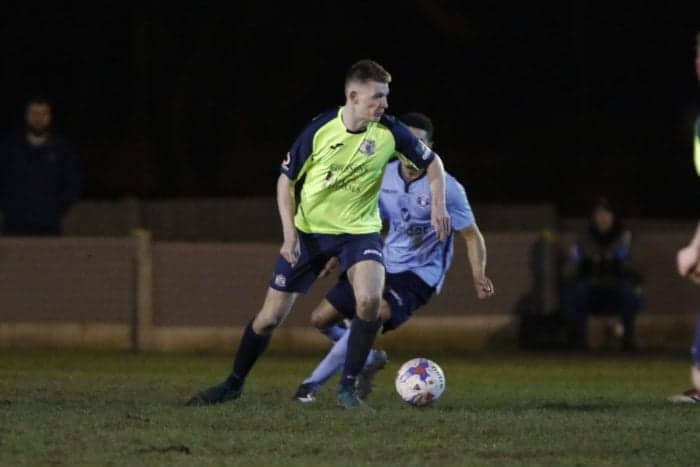 Kicking off in a 4-2-3-1 formation, County created the game’s first chance after only three minutes when Connor Dimaio intercepted on the halfway-line and proceeded towards the box, before teeing up Kirby – only for the latter’s shot to be saved by the legs of goalkeeper Adam Reid. Runcorn enjoyed a first sight of goal just a couple of minutes later, as Shaun Tuck cut in from the left and drilled wide of the far upright. But the Hatters were looking the more lively side overall – as exemplified by Dimaio, who saw one shot deflected behind and another gathered by Reid. Turnbull also tested Reid, who did well in diving to smother the skipper’s low drive from the edge of the area. And an impressive turn and half-volley by Bell narrowly cleared the crossbar, as County continued to press. But for all their possession, the Hatters were almost undone on the break with just over half an hour played. A good run by Francois Antoine found Tuck, who fired off target from 10 yards out. HALF-TIME: Runcorn Town 0, County 0. County began the second half brightly, with the recently-recalled Adam Etches firing just wide of the left post four minutes after the interval. But the next attempt, within seven of the resumption, was to prove more pivotal, as it gave the Hatters the lead. An awkward bounce of the ball deceived Marcus James near the halfway-line, and his slip let in Bell who advanced from the right before firing past Reid for his seventh goal in all competitions. Three minutes later, Bell and County came close to doubling their tallies as the goal-scorer connected with Elliot Osborne’s free-kick – but Reid was alert to catch Bell’s close-range header. Reid continued to keep the hosts in contention by blocking two shots within as many minutes from Kirby, who also drilled an effort just beyond the left post. 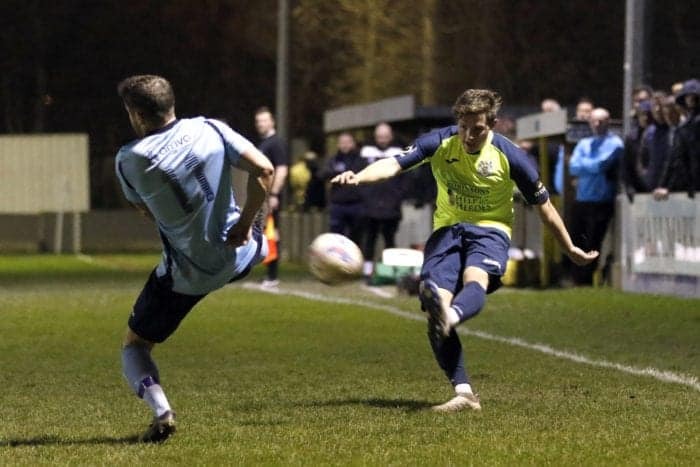 But, at the other end, County twice had cause to be thankful in the closing stages to Ian Ormson, who changed direction to dive and smother a wickedly-deflected attempt by substitute Craig Lindfield, before brilliantly keeping out Antoine’s snap-shot from Danny Byrnes’ cross on the left. With the advantage preserved, and post-full-time penalties avoided, the Semi-finals now beckon. FULL-TIME: Runcorn Town 0, County 1 (Bell, 52). Team: Ormson, Whitty, Robinson, Turnbull (Capt. ), Arthur, Downing, Etches (Scott, 80), Osborne, Bell (Holt, 67), Dimaio, Kirby (Elhassan, 89).